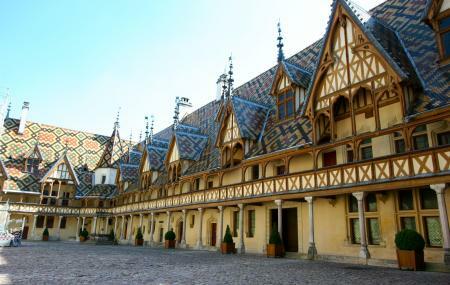 Also known as the Hospices de Beaune, it is a former charitable almshouse in the city. It was established by Nicholas Rolin as a hospital for the poor and needy. This hospital was at that time one of the finest examples of French 15th Century architecture. Later this was transformed into a museum as we see now. The treatment of patients is now done in modern hospitals. It was founded in August 1443 when Burgundy was ruled by Duke Philip the Good. Lovely glazed tile work that are examples of typical Burgundy designs with basic colors such as Red, Yellow, Brown and Green and interlaced designs. Lovely Gothic iron Works and Wood designs on the large attic windows. The Room of the Poor has a painted ceiling that looks like an upside- down skiff of a boat. The paintings are of eminent personalities of the city and their caricatures.Next is the Chapel that also has very beautiful frescoes and paintings on the ceilings. This place was made to let the bed ridden people attend mass from their bed. There are also other mural paintings from the 17th century and additions of the 20th century too. The Charity Wine Auction takes place in November every year. Free for disabled people and children - 10 years. In July and August possibility of guided tours in French for individuals for a fee of 2.50 € with 2 departures in the morning and two afternoon departures. No advance booking. Tickets: 9:00 am to 6:30 pm. The museum remains open further 1 hour after the closure of the gateways. Shop: from 9:00 am to 7:30 pm. Tickets: 9:00 am to 11:30 am and 2:00 pm to 5:30 pm. Boutique: 9:00 am to 12:30 pm and 2:00 pm to 6:30 pm. How popular is Musee De L'hotel Dieu? People normally club together Chateau De Pommard and La Moutarderie Fallot while planning their visit to Musee De L'hotel Dieu. People also prefer to start their day with Musee De L'hotel Dieu. This was fun and lots to see inside. I can’t do it justice to try and explain all I saw, in and on the grounds. If you look at the map you’ll see how large it is and the roof tiles are so vivid, it’s breathtaking. It rained that day but started out nice and we enjoyed the outer courtyard while the weather was still with us. Inside, the facility was put back to the days of old and it’s crazy to think of the history and secrets the building holds. The wood carvings and woodwork were beautiful and I’ll never forget. I would make time to go there and enjoy it for yourself. It is very informative. You can find many important things and a very good selection of languages for the audioguide, which are not too long and keep you into those times. Inside you can find many things that were used to heal people. It is recommended. I didn't know the entire place is a museum, even interior courtyard. We didn't have too much time to spend and wanted just to glance. So, 8.5 Euro and I saw it... Nice museum of hospital. A very interesting place, full of history. There are audio guides in several languages with detailed explanations of the life of the sisters and the sick when the hospices were running as well as commentaries on the funding and maintenance history and architectural features of the place. There are plenty of places to eat and park all around in an overall very pretty town. It was the hospital, but now it's museum. It has beautiful glazed roofs and great masterpices of moyen ages. Many famous wineries are near, so I recommend visit this place with good wines. 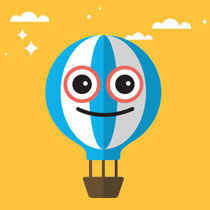 Are tickets purchased online good for only a specific day? Or longer? Yes, you have to get a ticket for Musee De for the specific day on which you will be visiting.